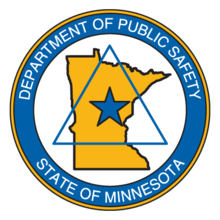 Based on those two criteria Minnesota has made two changes to their reciprocity. Nevada has been withdrawn as a “similar” state because age 21 is no longer the minimum age for all permit applicants. Minnesota has taken notice that WV requires training with live-fire and they have a minimum age of 21. Thus the WV permit is now valid in Minnesota! Visit Us at the US Concealed Carry Expo! ” Thus the WV permit is not valid in Minnesota!”… Did you mean to say, “is NOW valid”? Thanks for catching that, sometimes I wonder why they pay me to be editor. lol. I am human, after all. I updated it. Thank you! Why don’t people learn to spell or at least use a spell checker. This mistake was a big one in that it left the reader confused. Is it Yes or is it No??? Technically speaking, the word “not” is not misspelled. It was the wrong word, but a spell checker would not have picked it up. We have a spell checker built in, as most devices do these days. Not making an excuse for poor editing on my part. That’s all me. I have updated it to reflect the proper wording. Does Minnesota honor the Nevada CCW Permit? Your thread above or website below says NO, while the following website…says YES.